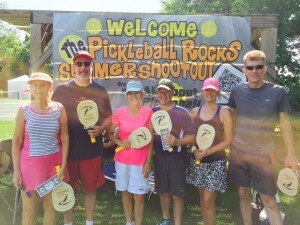 Pickleball Rocks Summer Shootout 2015: And The Winners Are??? 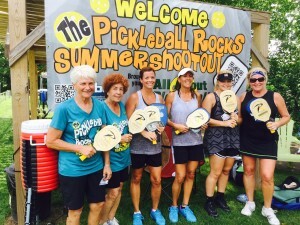 The Pickleball Rocks Team along with the Brookville Pickleball Club hosted another hugely successful weekend tournament in Brookville, Indiana. 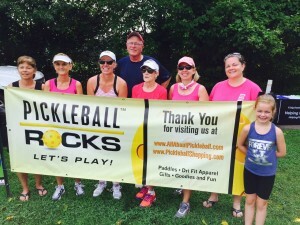 With the help of major sponsors, IGA (hydration and nutrition), Cook Rosenberger Funeral Home (life saving air conditioned courtside tent), Fayette Regional Health Systems (event tents), Pro-Lite Sports (paddle raffle prizes), Jewelry Inn (awards) and FCN Bank (tournament balls), players had a tremendous tournament experience. 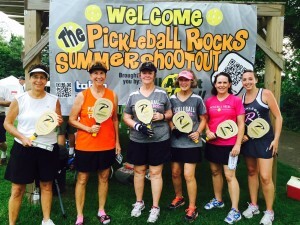 This was my first 3.5 level tournament at the Summer Shootout. 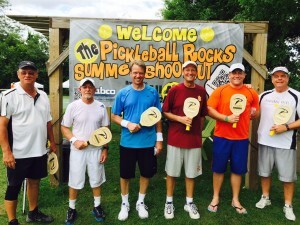 Rodney Grubbs and his family put on a spectacular tournament with a great structure and great organization. 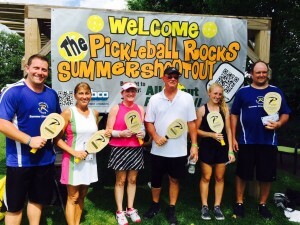 Major props to Pickleball Rocks and the Grubbs family and their support for an awesome day of Pickleball. Just a quick note to reiterate what a great job your family did on the tournament over the weekend. I was only there on Sunday and other than the heat it was perfect! 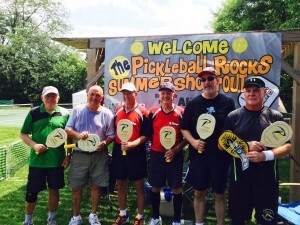 I spoke to many other persons and everyone was very complementary of the entire tournament. 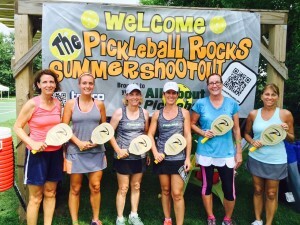 Had a blast! Thanks for helping get Iggy hooked on this great game. You guys are the best. We will be back next year! 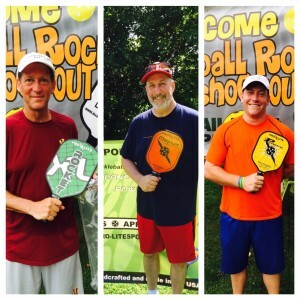 -Andrew P.
Congratulations to all the Shootout winner and a big thank you to all the players who drove the miles to play. We appreciate each and every one of you. Rocket, Karen, Josh, Abby, Zack and Amy. 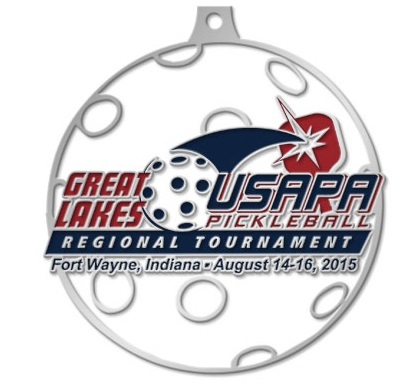 For the second year in a row Fort Wayne, Indiana and the Fort Wayne Pickleball Club will be hosting the USAPA Great Lakes Regional tournament. 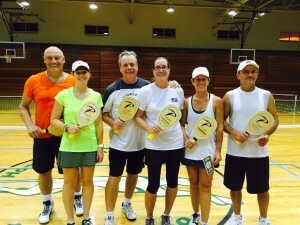 with 200-300 of your closest pickleball friends attending from all over the country. This year’s tournament is designated a Tier 3 tournament so bigger ranking points will be on the line for the top 3 finishers in each event. 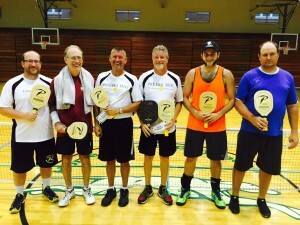 This is an indoor (so no weather worries) skill level tournament with age divisions within each skill, so everyone will be in the running for the coveted Gold, Silver and Bronze medals.